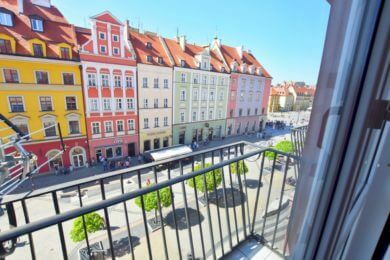 CITY CENTRAL Hostels – OLD TOWN. Check availability below. 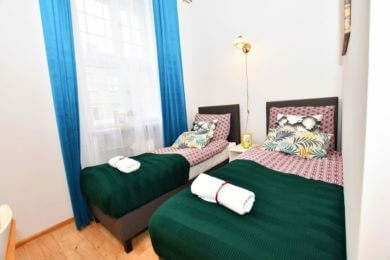 DUKES Hostel – OLD TOWN (18 Ruska Street). Please enter the code RABAT5 and we will add 5% discount on all your services! We invite you to familiarize yourself with the conditions of making reservations and with regulations for using the services we provide. When making a reservation, you declare that you have read our regulations and that you will fully respect them. 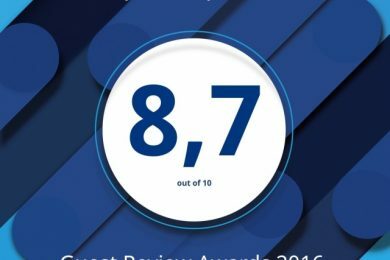 Reservations can also be made by phone +48 511-925-124 or by e-mail: booking@citycentral.pl – we encourage you to direct reservations and take advantage of attractive discounts and participate in our prizes competition! 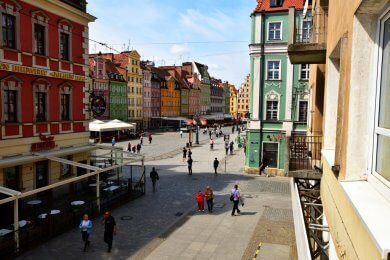 We invite you to read the terms of the prizes competition for 2019.“Win 1 of 3 vouchers for 4-persons stay in Wroclaw”. Please note: after full payment and on-line check-in you will recieve key codes to the building and your room. The rooms are located in a residential area, therefore the organization of events in the accommodation is not allowed. A few days before check-in our staff will pre-authorize your credit card (applies to reservations made with a credit card) or will accept a deposit via bank transfer (applies for all other reservations) in the amount of PLN 150 per room. It is a refundable deposit to cover any additional costs. This amount may also be retained if you do not comply with the regulations. The deposit is refunded at the end of stay after checking the condition of the room. 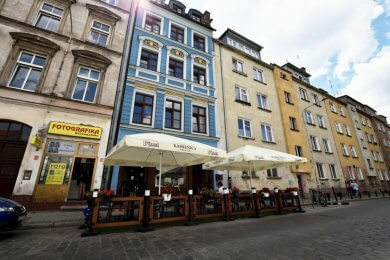 Location of accommodation near the Market Square (Old Town). Accommodation from PLN 22,00 per person. Access to free public parking (places not guaranteed, please ask at reception). Surcharge private parking (earlier reservation is required). Information on current cultural and entertainment events in the city. 1. Reservations can be made on-line or by sending an inquiry to booking@citycentral.pl or by calling +48 511925124. The person making the booking is obliged to provide correct data and correct information in the form, according to which the booking will be prepared along with the cost calculation. 2. The reservation is made on the person who will make payments. 3. The final stage of the booking process is the payment of a 30% deposit to our EURO account: CitiBank PL22 1030 0019 0109 7804 8163 2526, giving the name, surname and date of booking in the title. 4. The reservation must be confirmed by payment (by credit card / transfer to an account / online transfer) within 24 hrs or immediately after it has been made if the date of the planned arrival falls within the period shorter than 7 days. 5. After completing the booking process, you will receive a confirmation of booking to the e-mail address indicated at registration. 7. Changing the date the reservation is costless if it has been notified at least 7 days before arrival. Does not apply to “non-refundable”. 8. Cancellation of the booking is related to the cancellation fee, i.e. 30% of the total price for the stay if it was notified at least 7 days before the planned arrival. Does not apply to “non-refundable”. 9. In the event of cancellation of the booking after the date specified in point 8 or in the event of no-show at the hotel – the hotel will charge 100% of the total price for the entire stay. 10. Shortening your stay is treated as a resignation after the date of cancellation and is associated with settling the bill for the whole declared period of stay. 11. All complaints regarding our service should be submitted by email to booking@citycentral.pl. You will receive a reply within 14 days. 12. The person making the reservation agrees to the processing of personal data in accordance with the rules set out in the regulations. 13. In accordance with the provisions of the Act of 29.08.1997. about the protection of personal data, the data entered into the hotel system will be processed solely for the purpose of processing the reservation and for marketing purposes of the hotel (consent for sending marketing offers of the hotel). * Non-refundable – 10% cheaper offer than the standard offer, but the guest will be charged a prepayment which is the total price of the reservation at any time. The guest will be charged the total price of the reservation if the reservation is canceled at any time.